In today’s edition of the Forza Week in Review, we’re diving into some details of Forza Motorsport 7 at launch and beyond, showing off the game’s achievements, and saying goodbye to summer with our latest #Forzathon event. Let’s go! It’s T-minus two weeks until the early access launch of Forza Motorsport 7. There’s a palpable sense of excitement around the halls of Turn 10 as we prepare to bring our biggest and best Forza game yet to the world. From the very start, the team has worked towards a vision of re-imagining the racing experience and, starting with early access on September 29, the community will be lighting out again on another fantastic Forza adventure. Ever since we announced Forza 7, we’ve called this our biggest game, and the numbers bear it out: more than 700 cars at launch, 32 of the world’s greatest tracks (our largest lineup ever), a massive career in the Forza Driver’s Cup, and of course a huge list of ever-changing multiplayer and competitive modes that will keep players busy no matter their skill level or driving preferences. This is the largest game we’ve ever released in terms of sheer footprint size as well. The Xbox One game will be approximately 95 GB at launch. Just about 45 GB of that contained on the Blu-ray disc. The remainder will be available to download for free on September 29. Naturally, the game can be played from the disc alone. However, if you want to experience the true depth and breadth of content in Forza Motorsport 7, you’ll want to take the additional update. 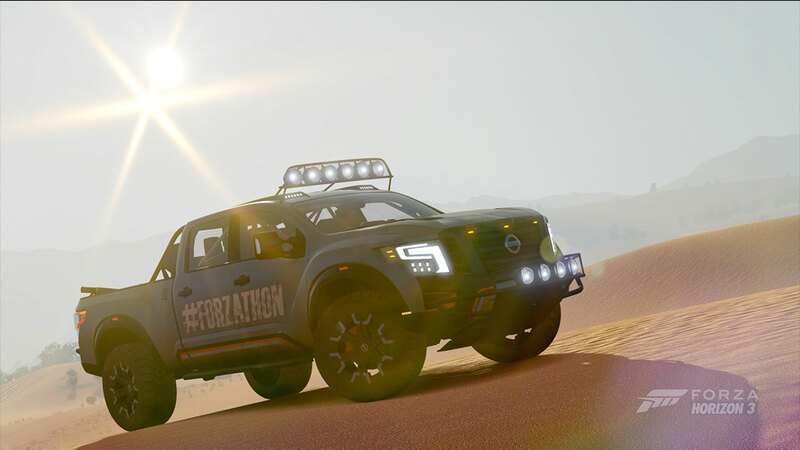 A great example is the Forza Driver’s Cup single-player campaign. 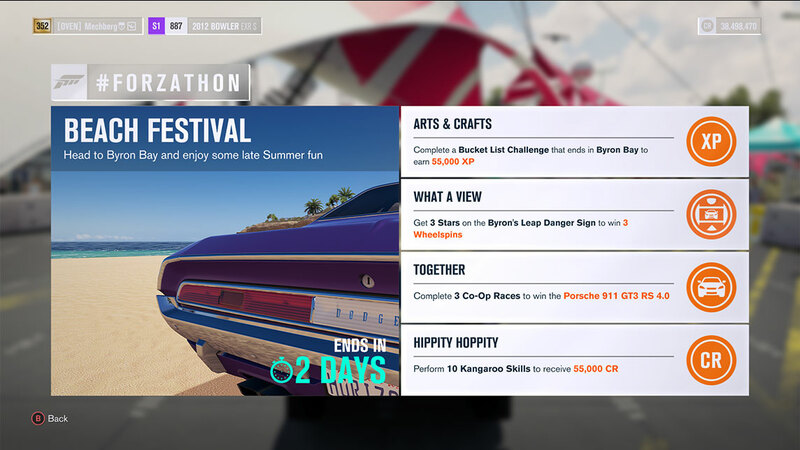 While all players can complete the first play-through of the Forza Driver’s Cup on disc, beating the series unlocks a wealth of new Forza Driver’s Cup content, including new competitive and Showcase events, as well as new trophies and Driver Gear rewards. In order to access those new events and rewards, you’ll need to have the additional update installed. Though launch day is still at the front of everyone’s mind, I’d like to spend a few moments looking beyond the release of the game, and what fans can expect in the days and weeks after release (October 3, for those playing the Deluxe and Standard editions of the game). After all, this is a Forza game, and that means that you can expect loads of new experiences and content that we’ll be adding well beyond launch day. When Forza Motorsport 7 is released, players will be able to immediately dive deep into the Forza Driver’s Cup, spend time exploring the vast customization options in the game, and of course head online and test their skills via multiplayer features like Rivals and our Multiplayer lobbies, which will feature events starring Modern Hot Hatch cars, Track Toys, Sport GT cars, just to name a few. Some features in Forza 7 will not be immediately available at launch – including Auction House, #Forzathon events, and Leagues. Players looking for those features will see the “Coming Soon” notice by the features in the game menus. As our community of players grows in the weeks after launch, we will be enabling those features in game. Over the coming months, we’ll be introducing our series of events in Forza 7, including new #Forzathon events, constantly updated Rivals and Hoppers that will make full use of our new homologation system (more on that next week), new Prize Crates (featuring goodies like Mod cards, Driver Gear, new cars, and more) as well as unveiling cars in our Specialty Vendor (which will feature a regular cadence of unique cars for purchase), and more. The months ahead will also see new features to the game, which we’ll outline in further detail soon. Forza Motorsport 7 will receive another large update on November 7, alongside the release of the Xbox One X. 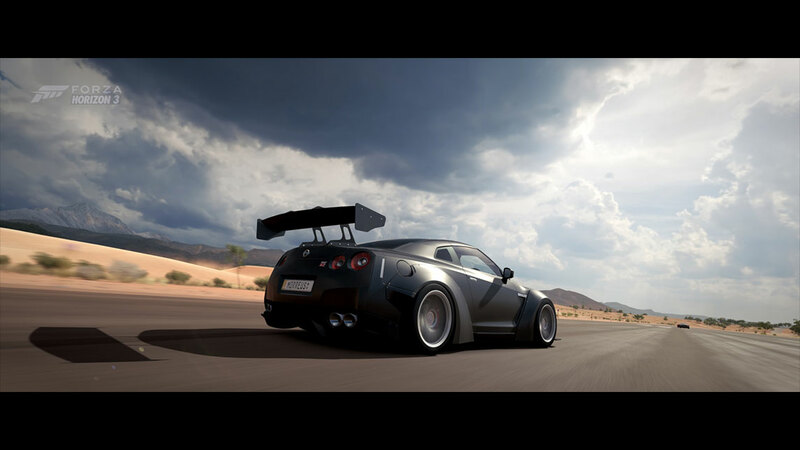 This large update will contain the assets that enable Forza Motorsport 7 to showcase the power of the Xbox One X at native 4K and solid 60 FPS with ultra-high resolution content and will be a free update for those who play Forza 7 on Xbox One X. As I mentioned at the top, we’re this close to the launch of Forza Motorsport 7 and everyone here at Turn 10 is champing at the bit to get the game out the door and into the hands of Forza fans. Launch will certainly be unforgettable and, best of all, we’re just getting started. If you’re in the market for an Xbox One S and somehow haven’t played Forza Horizon 3, we’ve got a deal for you. This week, we announced our Xbox One S/Forza Horizon 3 Hot Wheels bundle. The bundle includes an Xbox One S with 500GB hard drive, Xbox Wireless Controller, a copy of Forza Horizon 3 and the Hot Wheels Expansion, a 1-month Xbox Game Pass subscription, and a 14-day Xbox Live Gold trial. The bundle will run you $279 USD and is available now. Check out the story on Xbox Wire for more information! Today the guys at the Donut Garage published the latest episode of their Daily Transmission series. Not only can you get a good hard look at Hert’s Twerkstallion in its latest form, shooting flames out the tailpipe no less, but our own Johniwanna was there delivering some goodies. Those goodies were put to excellent use as John and the Hoonigans gave the Forza Motorsport 7 demo a good run. This was a special sneak peek for the Donut Garage team, and footage will be shared in the September 19 episode of Daily Transmission. It will air at 12:01 a.m. Pacific. Then be sure to tune in to a special edition of the #TuesdayDrive where we will be debuting the Forza 7 demo to the world in a very special stream on Mixer and Twitch. You won’t want to miss either so be sure to tune in. That's all for this edition! See you for a jam-packed edition of the Forza Week in Review next Friday!